We met for lunch, which she wouldn’t let me even leave the tip for, and gave me the T-shirt. I love it! So I submitted my manuscript to an editor last week, let’s hope I can survive this stage! A great accomplishment to complete a manuscript. I will think good thoughts for you! Remember rewrites don’t hurt. Too much. 🙂 Thank you for reblogging my post. You’re welcome, and thanks for the sentiments! Lets hope for Grandma’s continued success at avoiding gangs who lurk in back allies and wield poor grammar. 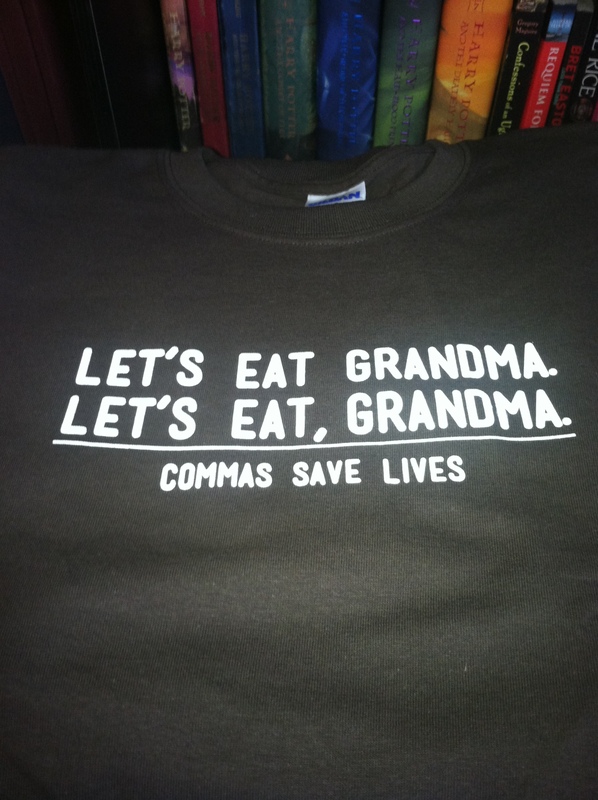 Funny to think that poor grammar can be deadly. At least on paper! Thanks for reading. Wonderful t-shirt, I love it.